I am fully qualified and have a diploma in barehoof trimming. I graduated from Dan Guerreras School of Barehoof Strategy, with the highest score in my class on my final exam. The essence of the Barehoof Strategy trim is to remove only what is necessary to keep the individual hoof in balance and free from disease, so that the horse can preform sound, healthy and happy. That means, my trim is non invasive and every rasp or knife movement has a thought behind it. I think it is important to have the owner onboard, and I will happily explain and answer questions about my work as well as give advice. I believe in using Natural Horsemanship methods when working with horses gives a comfortable understanding between me and the horse, a calm atmosphere, and proves that a hoof trim can be done solely without the use of force. Patience is the key, and by giving each individual horse the time it takes to get the job done, even overcoming fear or behaviour issues, the result is a safe, calm and happy horse with balanced and disease free hooves, and happy owners! The time spent and the accurancy of my work reflect my passion, and the price for a trim represent how important I think it is to care for each horse as an individual. 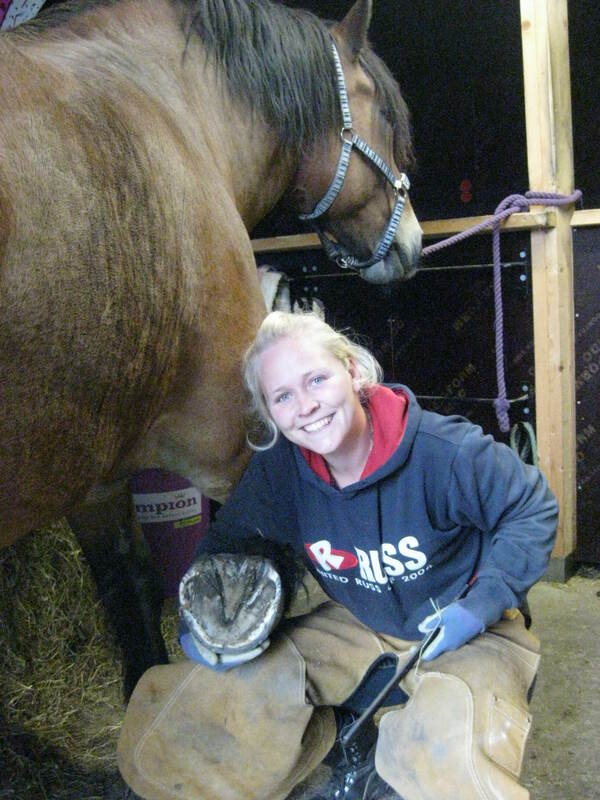 I grew up around horses in the beautiful countryside of Norway, now based in Berkshire, UK. My own horse Tiara has changed the way I look at the horse. She has had a difficult background with several owners, and she required a different approach. 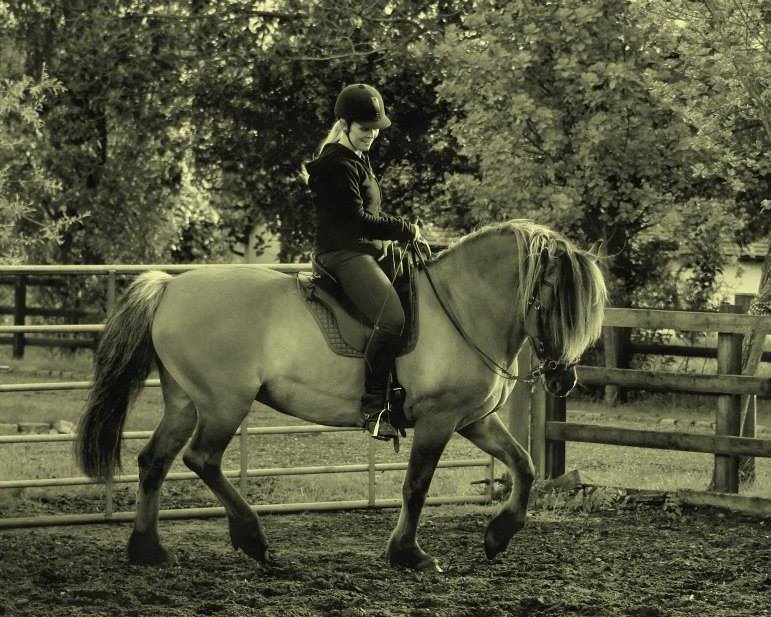 This is how I got into Natural Horsemanship, Academic Art of Riding, liberty dressage and trick training. 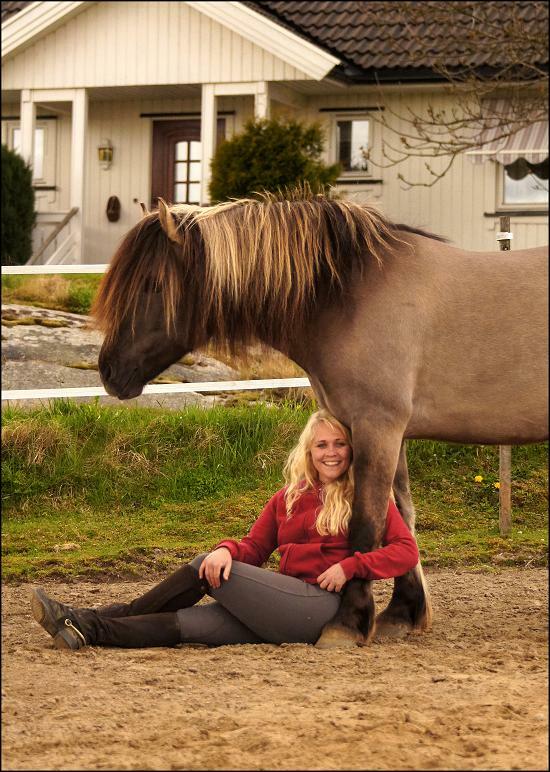 I am also very passionate about how to keep my horse «the natural way». I want what is best for my horse, and I have learned that metal shoes are not always needed for a horse to perform!